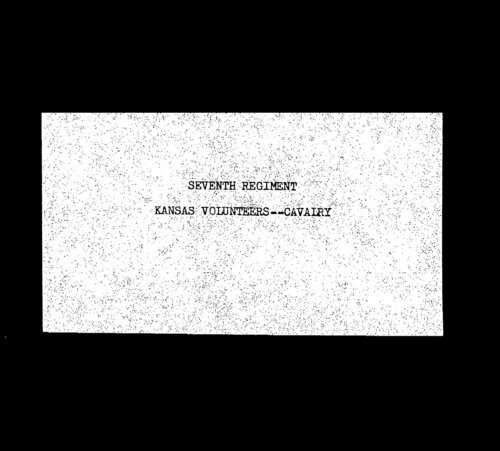 This is the descriptive roll for Civil War soldiers in the Seventh Regiment, Kansas Volunteer Cavalry. Information includes description, marital status, nativity, residence, muster information, and remarks. The index to the Kansas Adjutant General's Report, 1861-1865, (see link below) also gives the regiment and company the soldier served in.